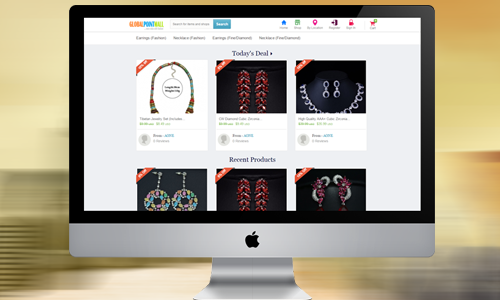 Best offers and deal of the day can be listed here so that people will give more interest in purchasing products from those list of deals everyday with Etsy Clone Software. You can create sub-admins and moderators to manage your business. With this feature, you can restrict the access to different modules in our admin panel for sub-admins & moderators. 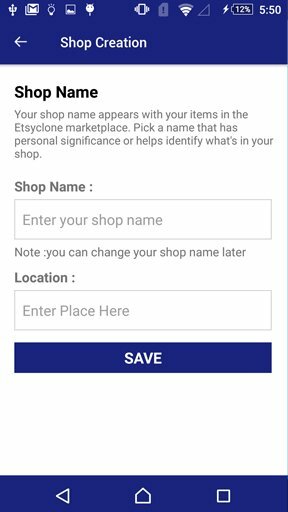 Users can also search for products based on location, based on city, based on items, based on categories using location based shop finder. 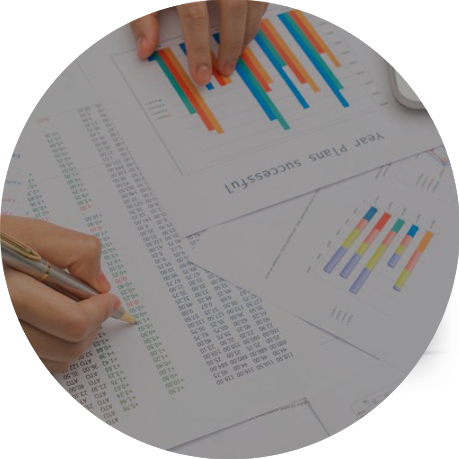 Our commission tracking system in our admin panel will give you a clear and detailed view of the commission distribution to the sellers and the admin through the sales. Users can register a complaint about a product on the store. Admin panel has the complaint dashboard where admin can monitor all these complaints and resolve the issues. With Shopsy you can earn with featured shop option, you can highlight few particular shops in frontend which will bring more traffic and revenue to that particular shop. With our script smart search system, You could find your specific products easily, Even when we have numerous categories and products inside the site. 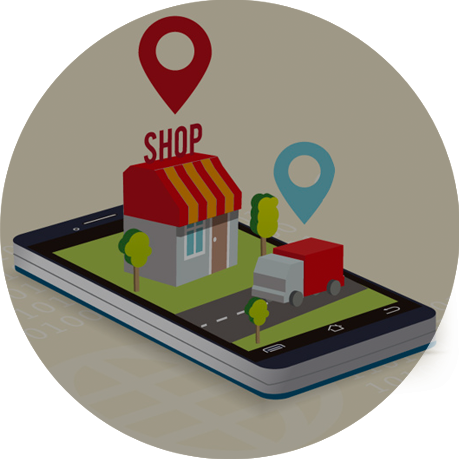 Buyers can open a shop through mobile applications and within a minute they become seller in our marketplace application after listing their products. Using mobile applications itself one can know their complete purchase history and status of their each purchases/orders made through our platform. Increase your reach to the tablet and mobile audience and increase the sales and conversions. Our well experienced Coders developed Shopsy script like an Art. The speed and performance of the website will be extremely powerful. Our shopsy script is user-friendly and comprehensible. Spend less time in the installation process. We have a user-friendly admin panel. You can even customize the site. Shopsy is integrated with Mailchimp, Zoho and Constant Contact. So shop owners can now send newsletters easily from Shopsy to their users. Admin has the option to change themes individually. They can use their own favourite themes for their sites and theme change is just a click away. If you want to run a successful store you need to send abandoned cart emails to users those who have abandoned the purchase after adding products to their cart. By default we have this in our application. If you want to block some IPs from accessing the admin panel or some important sections of the website then you can simply add the IP’s to this list to restrict access. Owner can attract etsy users by promoting this feature. The shop owners can easily import the list of products from etsy to Shopsy quickly within seconds. Now users can shop by location using the Shopsy application. Use the shop by location filter and find the nearby stores to complete shopping instantly. Our powerful and user-friendly Multilanguage module in our admin panel provides you the option to add new languages into the script easily through the system admin panel. Sellers can create their own coupon codes and promote their own products. Also customers can use those coupon codes easily during the checkout process. Shopsy is integrated with multiple payment gateway options from all over the world, where anyone can setup their native payment gateway with an ease of click. Shopsy has Ratings & Reviews feature that allows buyer to add their reviews and ratings of their purchased products so that others can read/check reviews before purchasing. With this option, your site visitors can effortlessly filter categories and refine their products search. In Shopsy we have increased category options to unlimited. Email marketing campaign has become easier with our powerful newsletter management. It provides the best solution to manage contacts, send emails and track results. Sellers can easily share their products in their social media accounts like Facebook, Twitter and Google plus and also they can Invite Friends easily from Admin panel. You can view the product prices in your native currency using our multi currency module. Our module will track your IP and currency automatically changes to your native currency. Users in shopsy can create events easier than before through our dashboard and connect with our shopsy community. You can create, edit, share and delete events. In Shopsy, we allow gift cards that can be sent to your friends or family which can be redeemed in any shopsy stores that supports gift card as a mode of payment. With our CMS management, it has become very easier to add, edit & delete contents on your own. You can also Add and delete pages easily with our CMS Management. You could create a searchable registry on shopsy if you have an idea of what to receive as a wedding gift. Find the best gift and store everything you need to start your life together. Shopsy has its own blog feature for all sellers were they can update their articles, highlight their products, add coupon codes, post their success stories etc,. 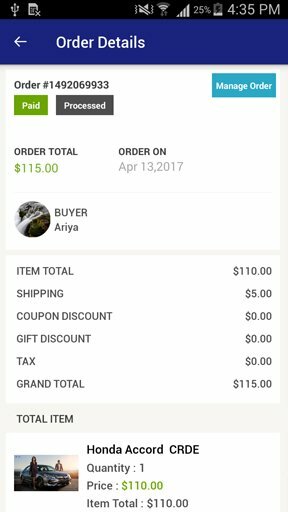 Shopsy system has multiple shipping options for store owners with an option to fix different shipping rates for different countries. You can alter the shipping cost for different destinations. Admin can Enable or Disable Geo Location option. If Geo Location option is enabled then the currency and language will change automatically according to their location. Sellers can sell digital downloadable products like eBook, softwares using Shopsy script. After payment, a downloadable link will be send to the buyer to download their products. The new version supports Multiple Sliders in homepage as banner images, which changes every few seconds. Banners are the first impressive thing when a user visits a website. This is an efficient way to browse the ocean of information without having to wait for pages to load. You can now send newsletters to subscribers easily and quickly from the back end of the portal. 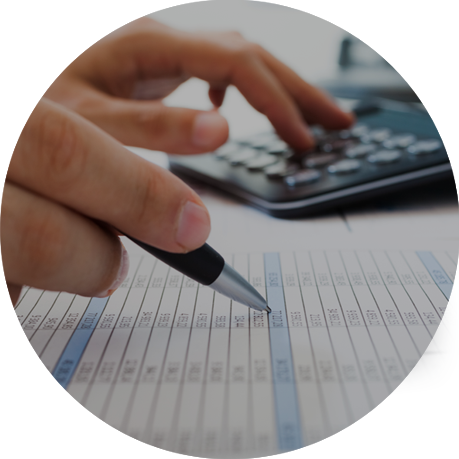 This module allows you to handle tax payments separate from your store revenue based on their own country and state. We made Google maps integration easy and hassle free and are 100% customizable. The admin can define the fee for product listing and the shop owners will pay for the same. Choose an Add-on and we will get it installed in no time. This feature allows you to automatically watermark images uploaded to the store. In our Shopsy sellers can list free products to the store, if Admin sets listing fee as $0. 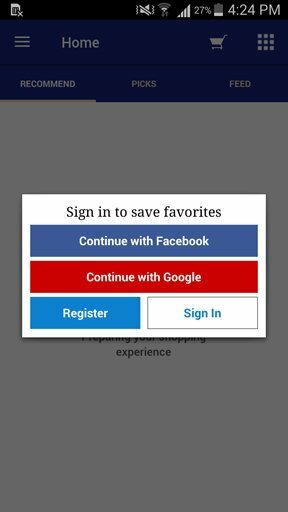 Our marketplace mobile application has the social login features and it will be easy for the customers to login using their social media accounts like facebook and Google. Sellers can directly list physical and digital products directly through mobile application, without the use of web application. 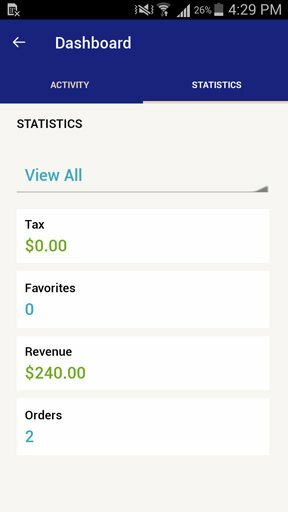 Sellers can able to see their complete shops statistics like orders made, revenue, commission based on today, this week, this month and year. With our powerful mobile application sellers can update the status of orders made on their sites. They can can change their status of orders too. Shopping is one of the adorable activities that make a way to purchase the product that we desire. Since the latest technologies have taken the vast growth within decades, the online shopping is considered as the piece of cake that provides you the product at any time. If you have an idea of establishing the online business, then you can select the easiest online method that efficiently brings together the buyers and sellers from different parts of the country for the successful market directions. You will be able to grab the several benefits with the use of the multi vendor shopping cart which is the part of e-commerce shopping. This web store provides you with the accessibility and allows you to add the product with an image as well. This software is entirely open source that enables you to make modification at any time. Shospy is one of the high end Marketplace Script that provides the highly dynamic and scalable environment for managing vendors and buyers and it mainly works with the use of high quality clone script that provides your own customized platform and you can access it easily even though there is no technical knowledge on your part. It is the cost effective software that manages multiple sellers and buyers in a single store. Thus make a way for setting up your online shop and increase your customer traffic for your sales. The multi vendor shopping cart increases your business finances by helping you to serve your products online and also raises the client’s base as well. There are several benefits that make the customer interaction friendly and henceforth manage the complete web store by maintaining the professionalism at work. You can get into the shopping cart by registering on the site to publish your own product and sell them. The multi vendor shopping cart is the marketplace software that offers the easy way for the sellers to upload their products on the admin website and as the admin he will get a commission for each product sale. The admin is benefited by running the website and the seller is also benefited by promoting their products in the website. This online web store aims to attract customers and increases huge amount of traffic and sales opportunities. You can expect the double of your investment through the marketplace. Certain sellers are concerned with creating the products and make profit out of it, such users are widely benefited through this platform. Every seller can manage their shop on their own and there is no need to hire the people to do it and henceforth running a successful business within your budget. The complete flexibility is provided through the Marketplace Plugins that manages the product details, purchase, price, delivery as per the area of convenience. Thus justify the business growth with the use of online marketing scripts and launch your business towards the success level. The Multi Seller Marketplaces render the good opportunities for different vendors to host their stores with their products and makes easy for the buyers to locate their needs at any time. The Marketplace php scripts have been mainly introduced for those who have plans to run their online business but have no technical knowledge to run the business through internet sources. These scripts have certain unique qualities that rank the best for each seller and buyers as well. The dashboard information will be maintained by the flexible control panel design and also one can manage, edit and add any products and images any time when necessary. You can even support and manage reviews or any news regarding products that attracts customers to know more about the product. These scripts are open source that provides very easy updation in the future and also render a great deal of offers and vast range of products that attracts the online visitors. You can also increase the social presence with the use of scripts which becomes easier for promoting the products. The Enterprise Ecommerce scripts are related to the SEO features that help to rank your website in the search engine results so that each client availing the script must move their business towards success level and henceforth produce good traffic to the site. This script provides better support to accommodate changes at any time and renders you the best features at an affordable price. Thus, rank your business towards success by availing the Ecommerce marketplace script for all your commercial needs. In the busy life, people have started depending on the internet source, especially for selling and purchasing the products which helps to avail goods or products at any time across any place since its easy steps have attracted the customer in high level. The Social Marketplace creates the linking stage that brings together the customer, products and goods. Nowadays the internet has rendered the online payment solution and so the internet shopping has been increased rapidly through the e-commerce technology. The Social Marketplace Solution is the technique where you invest less by you can grasp the attention of worldwide users by selling your product globally. The social media platform provides you with the unique shopping experience that you can grasp the knowledge about the products and brands within minutes. As the merchants you can avail the chances of selling your products easily without any hassle and also provide customers with a variety of products of different categories. This script offers user-friendly interaction that enables merchants to upload images and videos of the product so that the customers can get an idea about the products at the shorter notice. These videos can only be accessed by the customers who make purchases and henceforth there occurs no loss to owners as well as to vendors. The profit generated by the sales is shared with the vendor and marketplace operator according to their agreement. As the buyer you can avail every product at one place according to your needs. Thus avail the benefits of Social Marketplace and take your business to greater heights. Shopsy Script is the top quality script that allows you for full control in adding any types of products you may want to sell. There are many added advantages and that’s the reason why the Shopsy script ranks best and unique. This provides an easy option to rank the store where you can sell or buy the products as per your requirement. As soon as you sign up you will be provided with the personal profile which enables you to provide feedback as the buyer or seller. The Shopsy script is designed and developed in such a way that saves time and renders you to avail any products of yours at an affordable price. This script enables user-friendly interaction and provides notification management that pings you the message when you have received or if a user has been added to your list. This script enables you to customize your store in the marketplace with the appropriate images so that the visitors get attracted to the concepts and wish to know about the product. The shipping management solution is also done where the products are delivered at the right time and in the right place within the mentioned date. The user management is made desirable since you can manage your account easily even without the technical knowledge and enables you to control the information end to end. It is very easy to use the Shopsy script, you just need to install in your own server and commence the usage at an instant. Thus, launch your website in the short span of time with the use of Shopsy and its features. 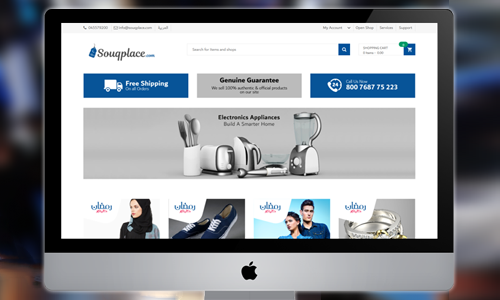 For making the stunning websites for your shopping zone, the catchy and attractive designs are the most demanding features for attracting the customers and to retain them with its exemplary attributes. The clone scripts have been becoming more popular and they are considered as the plain-sailing methods which has innumerous benefits in expanding your business. Shopsy is the trendiest and the high quality script which has been developed exclusively for procuring the classy impressions alike the Etsy. It provides the highly dynamic environment which enthralls both the vendors and the customers. The vendors must be very keen in choosing the right software and this script never fails to impress the audience. There are many factors that will drive you to buy this tool, but the most important feature is that it can also engage the customers in selling their own products in the same platform. The software can be acknowledged as the ideal product only when it gives space for customization and these unencrypted clones are the apt ones and it can be tuned in accord with ones’ requirement and thus, all the business operations irrespective of their size can make use of this amazing tool. More importantly, they are cost effective systems when compared to the remuneration paid to the experts in building the new designs. 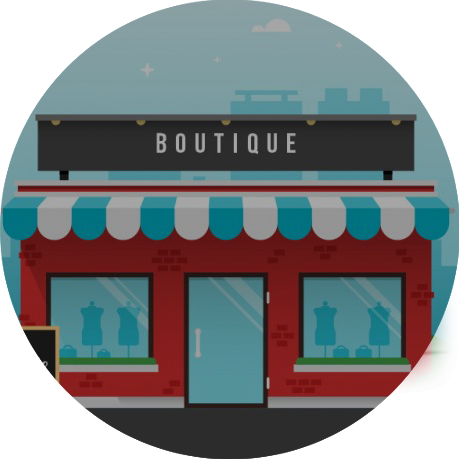 The shop owners have a great opportunity to pick any of the packages within their budgets and can manipulate the tool in a more efficient way with the obtainable aspects. So, acquire the remarkable online cart shopping software for increasing your sales and services tremendously and cover most of the clients globally. Shopsy script provides the single platform for all the vendors & buyers and it has paved the way for multi vendors’ operational activities and also helps the customers to have a wide range of choices comprising all the products and services. 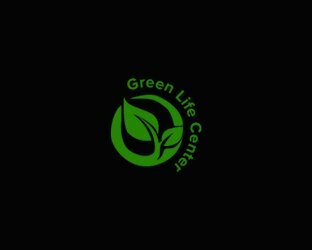 As online shopping is the new emerging trends and these multi vendor shopping carts are the most innovative ideas which have thoroughly provided all the needed facilities to all the people under a single roof. Shopsy cloning script provides the complete package for managing all the processes regarding the vendor’s business and helps in creating a unique shopping experience for the customers. As these portals involve more transactions, all these undertakings have a secure mode of payments and renders assistance in providing clear details in making the successful transactions with hassle free. People can acquire the full on experience and have the clear insights of all the workings of these clone scripts with the trial free version, but these can be utilised for a short period of time. These versions provide exquisite in built features and people can customize the software according to their demands. 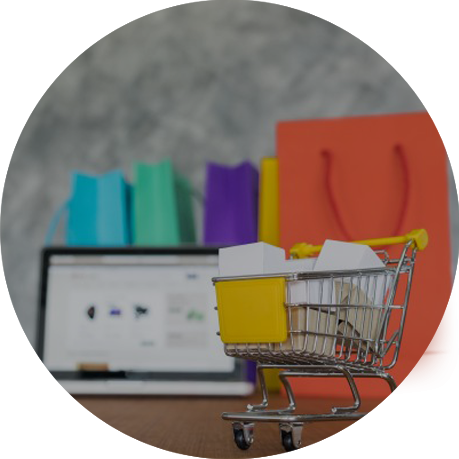 The businessmen can be highly benefited with the use of these online shopping carts and these coding are made compatible with all the web servers and also support all the products with its highlighted features. Shopsy Cloning scripts are the fitting ones for the e-commerce multi vendor marketplace site and increase your revenue through this new online business by using these unencrypted codes. Are you in need of getting the suitable cloning script for designing the e-commerce site? Then, Shopsy are the quintessential scripts which provide the neat platform for buying and selling all the goods. These scripts are feasible to use and even the non-technical person can have the command over them in terms of customization. This era belongs to internet shopping and for becoming a successful entrepreneur, it is quite obligatory to make their presence online. 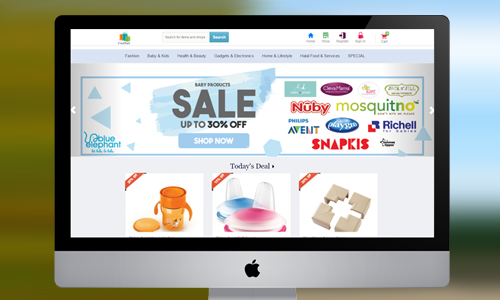 The businessmen can design the robust and striking websites with the help of Shopsy. The features incorporated in these coding have impeccable aspects, which make them more special and popular. These are the replicas of the famous Etsy shopping site and the clients can enjoy having the same environment in their own sites. This also renders additional features which include in-website development and also provides all the means in creating the e-commerce applications. The term best can be inferred only when all the provisions are given at affordable costs and it prevents the entrepreneur in making a huge investment. As the hosting expenses are bitten expensive, the small scaled concerns can have a great opportunity of promoting their business to the next higher level. It provides outstanding properties, namely responsive admin panel, powerful email management, secured payment options with PayPal online system, SEO friendliness, multi-language support, reviews & ratings, support of multiple payment gateways and so on. The customers can enjoy the logins using their social media and can follow the track of their friend’s favorite products. All the required services come in a single compact, the vendors and the customers can meet at a single destination for all their shopping requirements. So, choose Shopsy to relish in the effective environment and create a powerful marketplace. Etsy, the most famous and acclaimed e-commerce website has helped people in both buying and selling their products, especially the handmade ones. It is the apt site of online shopping which possess all the needed requirements for managing both vendors & buyers and fascinates you with amazing features. And if you are planning to design the site with its similar features, then prefer Shopsy cloning scripts which even enchant you with the additional features and it fulfills the great experience of shopping for the customers. It has the single administrator panel, which helps the businessmen to have a sole control and command over all the management and other activities. Shopsy has the integration of all the characteristics of Etsy and combines the exclusive facilities which can also holds the customized changes depending upon the kind of business. The add-on features includes SEO centered aspects for increasing the traffic to the customers’ site, simple URLs for easy understandings, state of the art search systems & filters for the smart access of products, the discussion boards for increasing the loyalty between the vendors & buyers, built-in newsletter management and so on. It also provides the functionalities for maintaining the backend processes more efficiently by giving restrictions to important access and the commission tracking systems for the vendors. These cloning scripts consolidate the original facilities like responsive sites, social media logins & follow ups, multiple payment gateways with the amazing auxiliary attributes results in the complete and absolute scripts which the entrepreneurs long for. So, pick this script and make the best shopping site of your own. Responsive websites are the latest trends and the smart phones with its compact nature can do huge things which have actually made our lifestyle even easier and with more comfort. Shopping sites have these responsive natures and helps the customers in making the shopping experience enriched with thrilling and excitement. When the people desire to buy the cloning scripts of e-commerce sites, it is recommended to scrutinize whether the scripts are compatible with other web servers and mobile friendly. Shopsy, which is the perfect cloning script of the renowned Etsy site, fulfills all your shopping requirements and demands. Moreover, it comes handy with native android & IOS Applications and thus, becoming the desirable scripts of all the entrepreneurs. These applications also provide same effectiveness as of the desktop features and these scripts never fails in providing the powerful environment for all the mobile users. It incorporates the same amazing features of unlimited access for all the sellers and buyers. Shopsy provides the customizable facilities which make them more demanding and the clients can modify the coding appropriate to their business. The payment options follow the standard PayPal online payments and give the various modes of making a secure transaction. The mob app for vendors and sellers are available exclusively and both can be highly benefited through this. All these facilities and services are provided at affordable costs and gives assurance to the availability of the unencrypted source code. So, install these scripts in your smart phones and increase the revenue immensely and acquire the satisfaction with all the listed features. With the help of the multi vendor shopping cart all the merchants can sell their products under one roof. The buyers and sellers can create their own space online to display their services. The payments are made clear at the same time and there are no hassles involved in this. Maximum audience is reached with the multi vendor ecommerce script, this is same as that of the normal website with the navigation made easier for the users. There are different applications available online from which you have to pick the most relevant. The online payment transactions are done without any discomfort. Both the free and the paid multi vendor shopping cart portals are available as you can select the one that best suits your business standard. With this you can create a flexible, innovative store along with the appealing design and style features. There are different scripts being used for the networks, multiple storehouses are created here, which is flexible to access for the payment gateway also. There are no inconvenience with the transactions and the other aspects. This is made user-friendly with all the web servers as well. The multi vendor shopping cart portal offers the support for all the products and services. For all the online business entrepreneurs, the multi vendor shopping cart is necessary where you can display all your products and services. Both the buyers and sellers are benefiting from this type of software and this web store is available online. This is needed in the e commerce industry, as this operates on the membership options. It is designed in such a way that multiple users can work with a single platform. The iScripts necessary for building these are available online the set up is not time consuming too. Nowadays not only the business owners, but everyone can own an internet store with the help of the simple software. The multi vendor e commerce portal does not limit the usage and the available space. In order to build these types of carts it is not necessary to have the development knowledge. The services are provided round the clock and you donate have to spend out of your pocket. The free carts are also available, but they are only for short term need. You can use the special features to make your site more unique and flexible for the users. Since this is an open source, You can customize it as per your need. How does the after sale support process works? Why do you invest in Shopsy marketplace? The Shopsy platform combines the best elements of social networks and online stores into a streamlined, contemporary design that will please anyone.Online purchasing is developing in a manner similar to the early days of social networking. A small investment in Shopsy will give you the competitive edge you need in this rapidly changing business. The integration with social networking will allow your business to expand its virtual footprint rapidly, bringing you clients and exposure. Every user involved in the marketplace will have a profile that will allow them to buy and sell items. 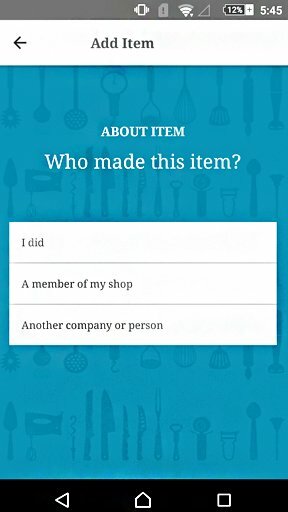 The user can create, manage and market their own unique store through their profile. The use of Shopsy will earn you money as you sell or trade items and earn commissions from other traders who use your venue. For the truly dedicated to what they do, who develop their website, and who market their store will be able to develop a regular and steady income stream!. Can I change the domain name for Shopsy License? Changing the domain is possible. In order to do this, you must email us at info@zoplay.com with your current domain name, purchase order number and the name you would like your current domain changed to. Please note: A domain can only be changed once during a period of 6 months. Also, do not change the setting yourself before receiving confirmation from us that we have fulfilled your request. If you do so before such confirmation, your service might be unavailable. This service is based on the license version you purchased. Can I buy design templates from Shopsy? Shopsy comes with a standard template. If you would like a unique custom template please contact info@zoplay.com or chat with our sales executive to discuss details and pricing. Can I change the HTML and CSS files of Shopsy? Yes you can change these files as you will have access to them with the license that has been purchased. Can I get the full source code of Shopsy or the files encrypted? What you receive depends on the license you purchased. Regular Single Domain license format: Core files (PHP) are unencrypted by layout and design (HTML and CSS) can be accessed and customized. But single domain licensing is encrypted. Open source [White Label] and multi-domain license: No encryption, so all files can be updated by the owner. All features of script, regardless of license type, are available to administrators and users. Need a multi domain white label version email us info@zoplay.com to get the pricing. Do you provide any technical documentation on purchase of Shopsy? Shopsy does not come with technical documentation. If you need assistance please contact us for an estimate on developing your custom module. Can the Shopsy Team Install the script for me? Shopsy’s demo is always the latest version currently available. It originates from the same sort of install package that you receive after you buy a script. The demo is limited in certain areas in order to prevent vandalism but the copy you receive will have full access. COD is available for Shopsy? Is there any limitation and conditions for using Coupon Codes? Each shop on Shopsy can create custom coupon codes to offer buyers a discount. If you have the coupon codes you can only redeemed for that particular shop. The coupon code will apply to the whole checkout. By default PayPal, Authorize.net come free with initial package. Apart from that we can integrate any payment method into shopsy if proper API info is provided like stripe, 2co, balanced payment gateway and many more. What is the framework and technology that is being used for Shopsy? Shopsy is built with CodeIgniter Framework and platform is LAMP (Linux, Apache, Mysql, PHP). If you have ever had a dream of starting your own online store, we are making this happen. 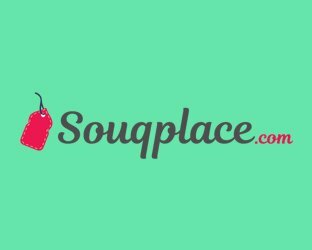 Headquartered in Dubai and established in 2015, Souqplace offering a truly unique experience to the consumer market. The online marketplace allows anyone and everyone to set up their own online shop for free, and sell goods that they believe the consumer market would want to purchase. The application was developed for the Web and Mobile responsive. It provides the live support to the customers from the application through zendesk. Secure transaction is ensured through SSL certification. Highly dynamic and scalable environment for managing vendors and buyers in a platform. 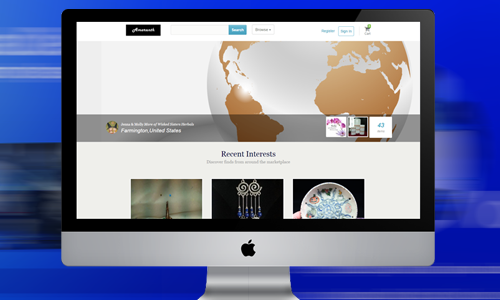 Global point mall is multivendor marketplace where the partners/vendors from all parts of the world can market their products and reach out to millions of customers across the globe. It is designed for web site/smart device app were sellers can upload the products into the marketplace. 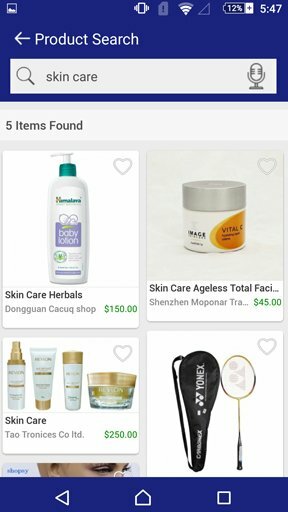 There are lots of features for sellers like they can see add products from mobile and check the inventory, stocks, orders, favorites and many more. The web site and smart devices application provides a highly competitive global marketplace where the users access tothe partners/vendors under one roof. Discover recent finds from around the marketplace. Amaranth is an eclectic community of creative people with the most unique perspectives. 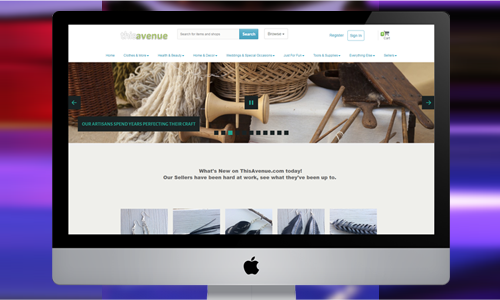 It provides a Marketplace for crafters, artists, authors, and collectors to sell their handmade, unique and original items, vintage goods. The web application allows all the sales with PayPal and are paid at the time of transaction. Stripe or C.O.D transactions are totaled and billed monthly. An online community that acts as an intermediary between sellers and buyers of fashion, design, art and technology. An online community connects all creative minds in Latin America, cauterizing the entire country, generating greater interest in the conceptual value of fashion, art, design and technology. This web application is mobilize sustainable, original and innovative design, motivating the creative minds to sell and buy their pieces in a space that celebrates fashion, art, design and technology in an intelligent way. Where you will find unique items to match your personal style. 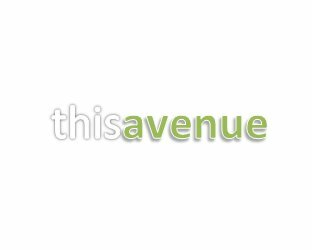 ThisAvenue.com is a 100% women owned business and has roughly 20 years each of hands on business experience. If you are a buyer, and looking for that next handcrafted piece, you can trust that our sellers are held to a high standard, as we look for unique and quality products to come from them. If you are a seller, we found that too many companies are nickle and diming their sellers to death. Manage store with flawless accessibility and navigation, optimizing the store to the mobile. Moora is a perfect marketplace as it provides a highly dynamic and scalable environment for managing vendors and buyers and even becoming a buyer or vendor yourself while allowing for full control in adding any types of products you may want to sell. 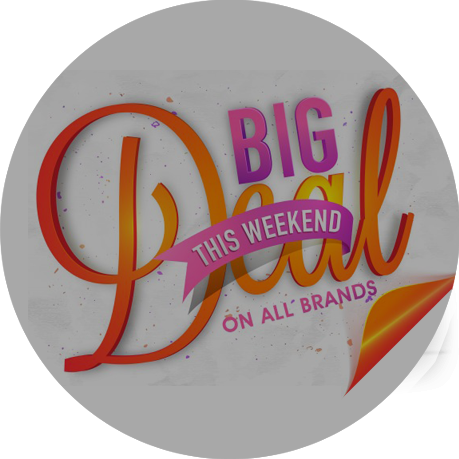 The mobile app gives the on the way customers an easy and effectual shopping experience. Remember... if it's Southern, it's on Lily of the South! Love country and Southern-related products? Outdoor items, clothing, hunting/fishing gear, cooking items, camping, preserves and other food items, decor, knick-nacks, home-made items... the list goes on. If it's related to the South, it's available here. Lily of the South is an online multi-vendor marketplace where small and large businesses, as well as individuals, can list and sell their products. 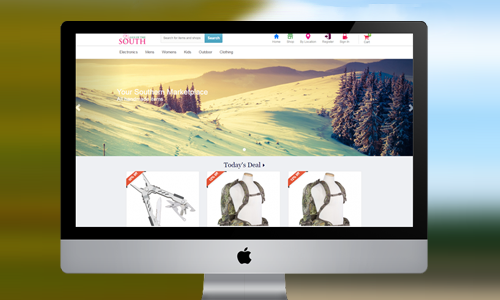 Start your own online store for free, list your products and sell to our Southern community. Sell cars, trucks, boats and bikes online. 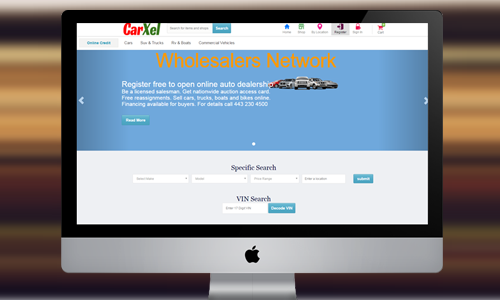 Carxel provides the online solution to open up dealership. It makes licensed salesman. Also it provides free reassignments. 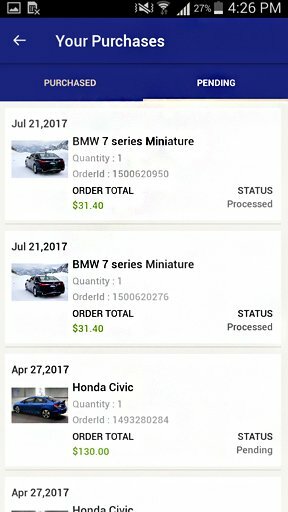 One point solution to sell cars, trucks, boats, bikes online. The application knows new and used part suppliers and private sellers with reviews from the community. Carxel brings Whole sellers, retailers and private owners one platform and connect them to buyers. Choose from large online inventory apply for financing and much more. 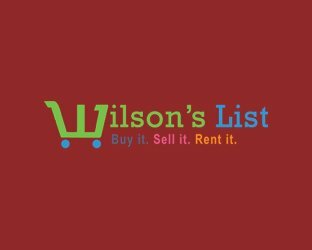 Find thousands of delicious, unique and interesting items with just a few clicks. 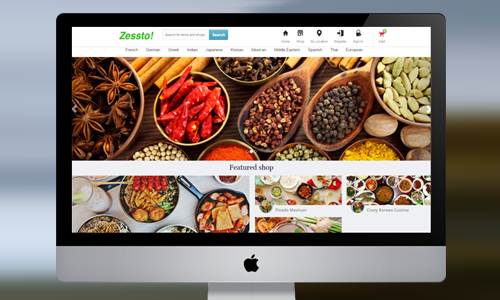 Zessto is a market place for international and multicultural foods and specialty items from around the world. It welcomes the user to browse around and see something (or somethings) the users like, please feel free to purchase through the secure checkout process. PartJin.com is an agile multivendor platform that can host unlimited number of independent shop owners and individual sellers. All sellers can open their independent stores within the platform keeping their identity and individuality intact through maintaining their own stores and sales policies. All the sellers are free to create and choose their store banners and sales & marketing strategies and slogans. PartJin.com works exactly like a market place where all the sellers and buyers can connect with each other and complete the transactions. 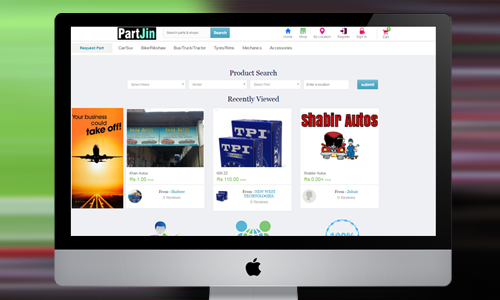 PartJin is totally technically targetted, specifically designed and dedicated platform to sell only auto parts. 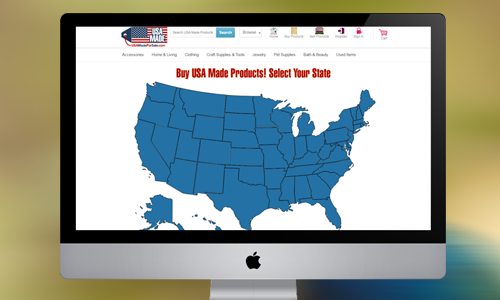 American businesses selling or reselling products made right in the USA. As entrepreneurs the founders of USA Made for Sale know the value and quality of American made products. Buying local means putting food on American tables, paying for music lessons or sports camps for our children. Its vision is to accentuate American Craftsmanship, be it produced in a warehouse in Detroit or on the same table dinner was served hours before in Virginia. Using cark2 all sellers can open their independent stores within the platform keeping their identity and individuality intact through maintaining their own stores and sales policies. All the sellers are free to create and choose their store banners and sales & marketing strategies and slogans. CarK2.com works exactly like a market place where all the sellers and buyers can connect with each other and complete the transactions. 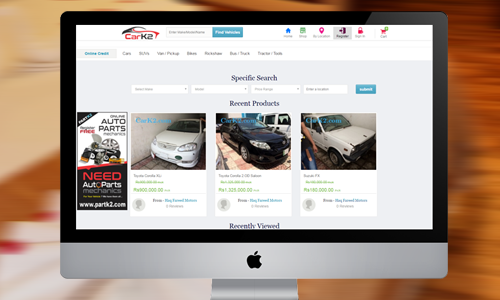 Another feature that distinguish carK2 from other conventional websites is "Make Offer". All the buyers are free to bid on any vehicle of their choice and the sellers will accept, reject or counter bid the offer. ZYITO is Malaysia's newest online shopping portal specializing in womens clothing and accessories. It is expanding in a phased manner to other areas soon. The first e commerce website that connects you directly to world class artists from Cameroon. The initiative helps sellers to sell their products from their local regions and villages to the global market. It helps them overcome previous digital barriers. One of Cameroon’s greatest resources is its rich cultural background with more than 250 ethnic groups as a source of inspiration. 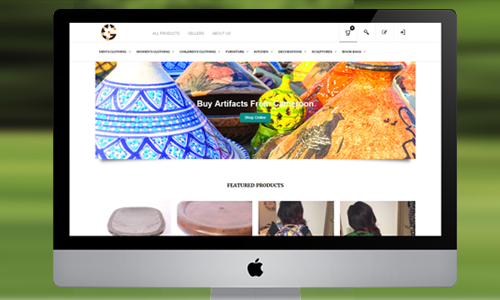 Cameroon gallery sells authentic crafts, jewellery, furniture, paintings, sculptures, and so much. We promise customer satisfaction all the way through the process of ordering your crafts to receiving them at your doorstep. The site was started to address a common problem we all face…. what to do with everything we have, but no longer need. We all have items we see around the house from time to time, and say “I don’t need that anymore.” It may be clothing, old toys, furniture, appliances, tools or absolutely anything. We developed this web based platform, supported by an app, as a place where you can show items you no longer need to others that may have a need. Our platform is designed to be used by individual households, local community organizations and churches to help and support others in need. Instead of tossing these items in the trash, or recycling bin, consider ways it might still be usable, or repairable by someone else, and give it a chance for a second life by using our website or application. Centsuri is a unique vendor marketplace platform that provides distinguished support and business offerings to both vendors and buyers. It offers convenience to vendors to promote products online and most important, giving valued buyers a hassle-free shopping experience. We are team of dynamic individuals with different background and experiences. We are totally focused to bring our business to greater heights. While we strengthen our business locally in Malaysia initially, we aspire to grow globally as well. 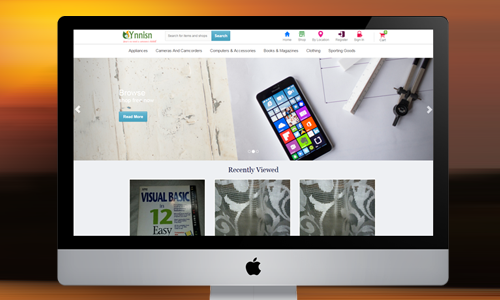 Customized theme designed by our team of design experts. It includes all pages, mobile compatibility and browser compatibility. Personalized theme designed by our creative team includes App icon, landing page, splash screen, Google submission page. Customized rebranding designed by our iOs experts include the App icon, landing page, splash screen, App Store submission page. Want your IOS App in more than a language?? Not a problem. We support multi-language and charge depends on your choice of language. We customize language translations from Right to Left for languages like Arabic, Hebrew, and Persian. We were getting lots of enquiries regarding Auction Module for Etsy Script - Shopsy. So we planned to add Auction module to Shopsy at very low cost. This is optional for buyers and it comes at $499. Customize when, where and how you would want your users and host to receive SMS notification. Name it and we do it. Also, we customize a different kind of SMS gateway for your application. Affiliate plays an important role to increase visitors rapidly to any website. Using this affiliate system sellers can promote their store using randomly generated affiliate links to their shop and products. Here the admin can add any type of additional fees they would want like the cleaning fee, airport fee etc. In this add-on, every user can invite their friends using the invite option, all the invitees will receive an email with a referral link and every time a user registers using this link the inviter receives a code which they can redeem during their booking. Here host can choose their preferred subscription and make payments accordingly. After which they can list their property as per the subscription they have chosen. Using city based restriction site owner can able to run your business in a particular city. Each user type is sync'd with the loyalty program - where they earn 5 points per stay - after 5 stays or 25 points, they are able to redeem the points for a 1-night stay or a gift card - etc. Add Loyalty program tab or tie into subscriber account. Using stripe connect / PayPal connect / PayPal adaptive we can make the payout automatically to the host. We also integrate security deposit where the guest is paid back the amount after their stay is over.